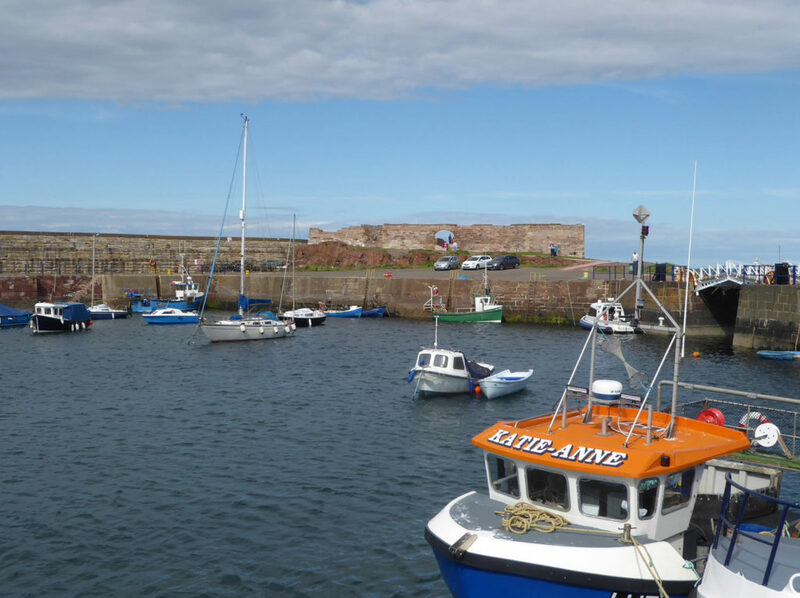 Dunbar is an historic town of approximately 7000 people situated on the south east coast of Scotland, 30 miles from Edinburgh. 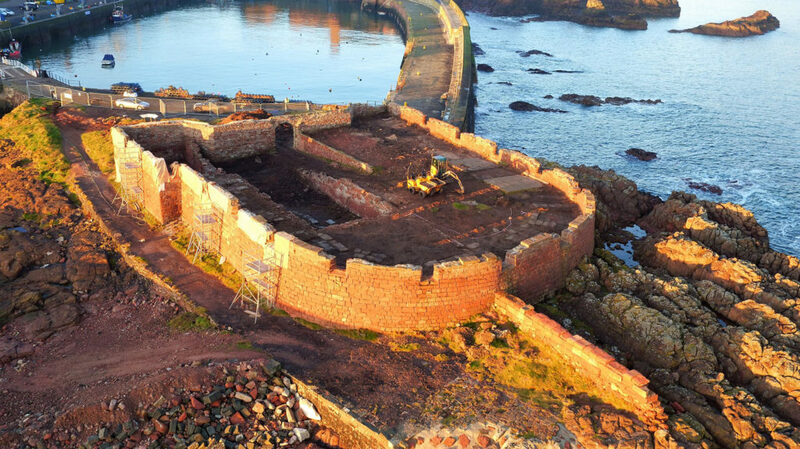 The Dunbar Battery was originally built as a civil defensive bastion in 1781. 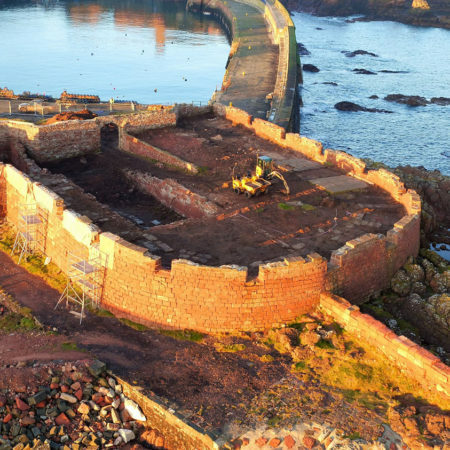 In the 19th and 20th C it housed a hospital for infectious diseases and a military hospital during World War I. Whilst latterly it became a ruin, the structure remained full of potential due to its stunning location on an island within the harbour, its rich history and intriguing topography. 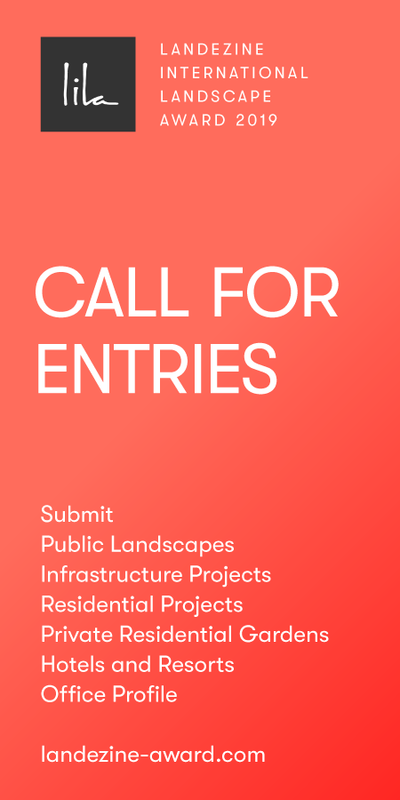 The structure is Category B Listed for ‘regional or more than local importance’. 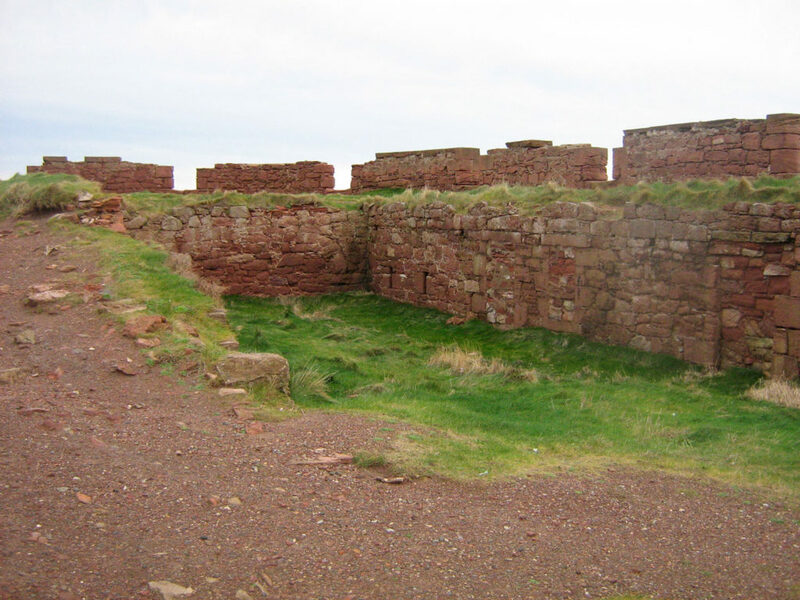 The island on which it is built is connected to the mainland by a lifting bridge. 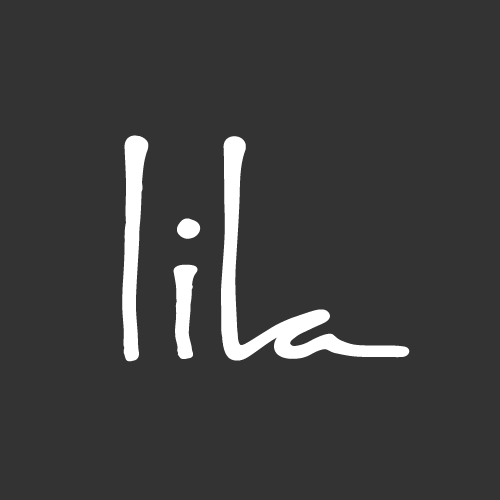 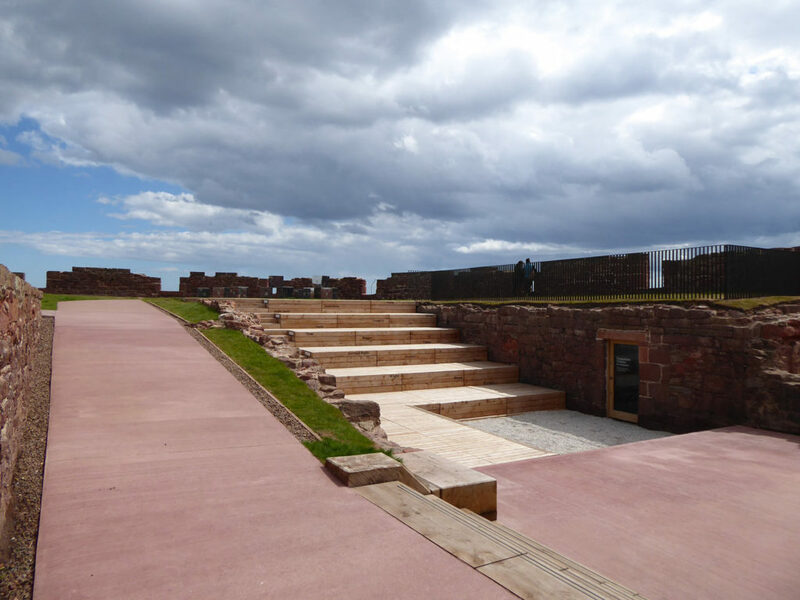 The battery is freely accessible to the public 24 hours. 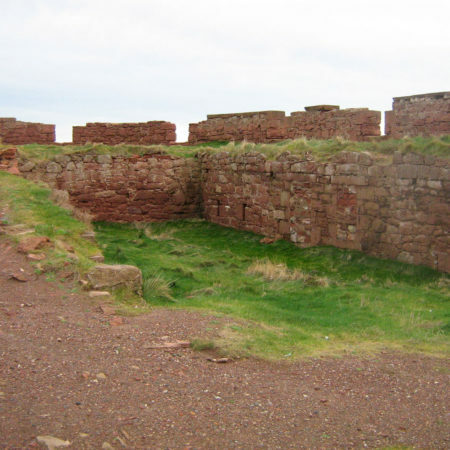 The original battery was a red-sandstone structure with embrasures for sixteen guns. 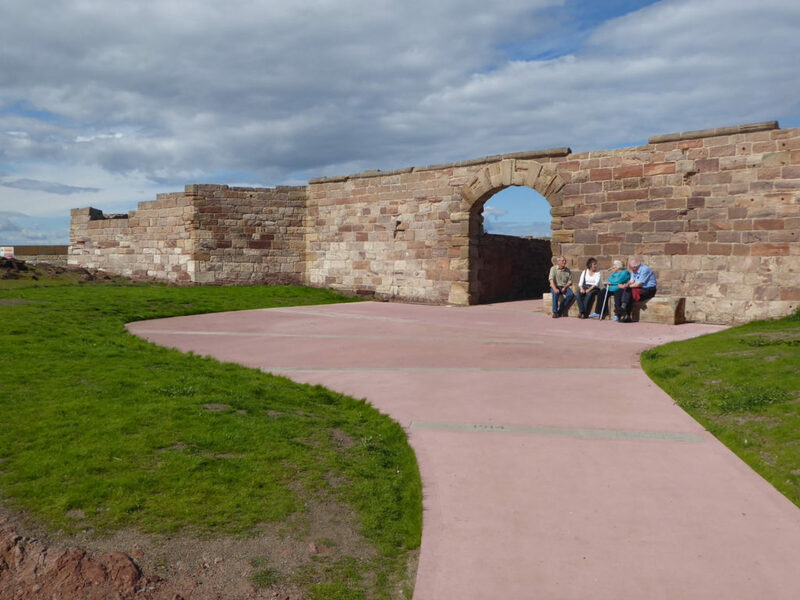 The entrance facing the town is constructed from blonde sandstone with an arched entrance. 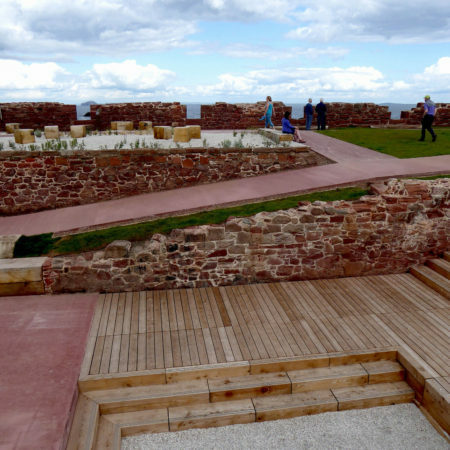 Before the design interventions the battery was difficult to access, it lacked any information on its history or any particular reason to visit other than the spectacular views it affords to the Firth of Forth. 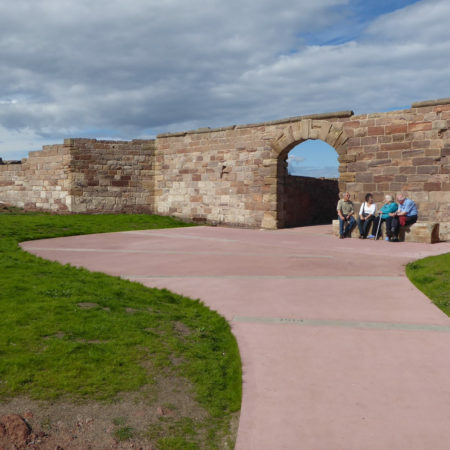 The stonework was deteriorating due to weathering and erosion and several features of the historic structure were covered by vegetation. 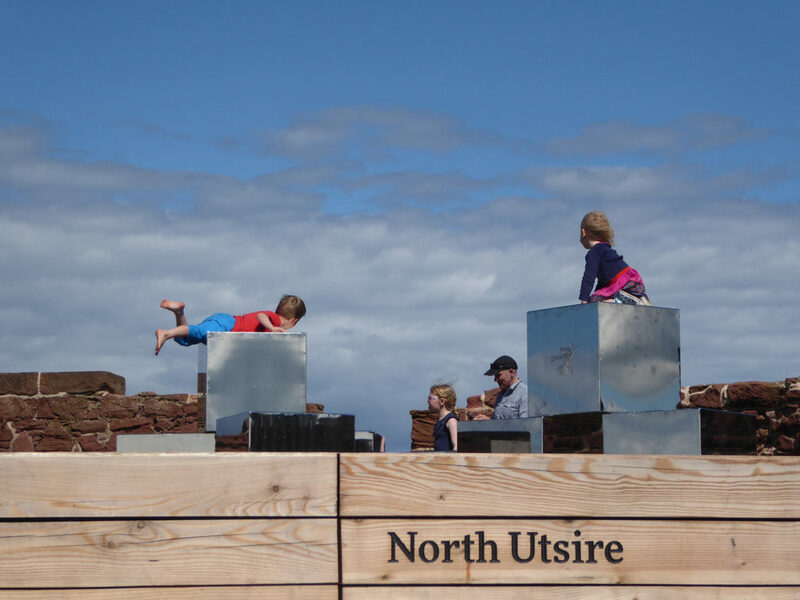 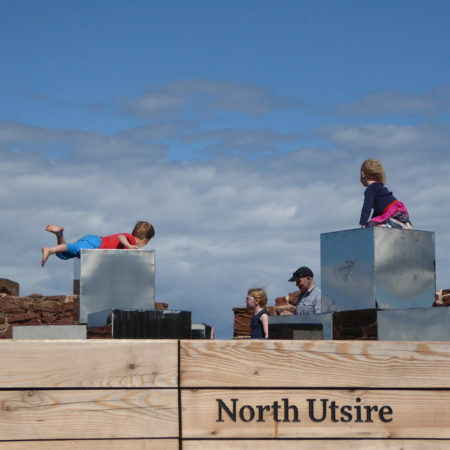 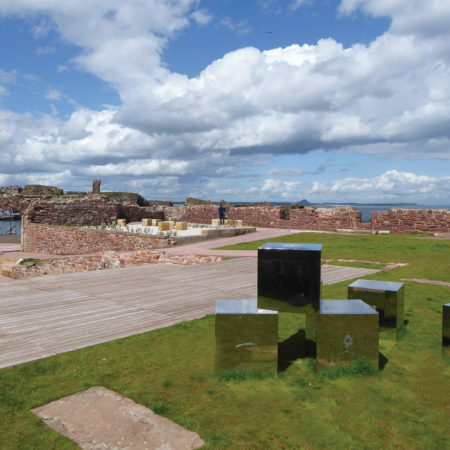 In 2009 Dunbar Harbour Trust engaged rankinfraser to prepare a feasibility study looking at ways in which the battery could be reimagined as a public space attraction for visitors and a local resource. 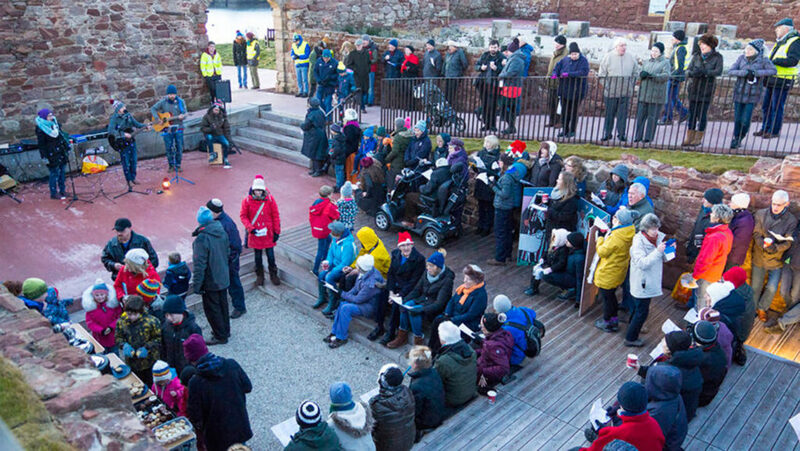 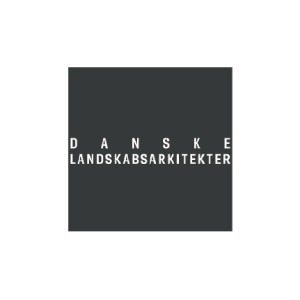 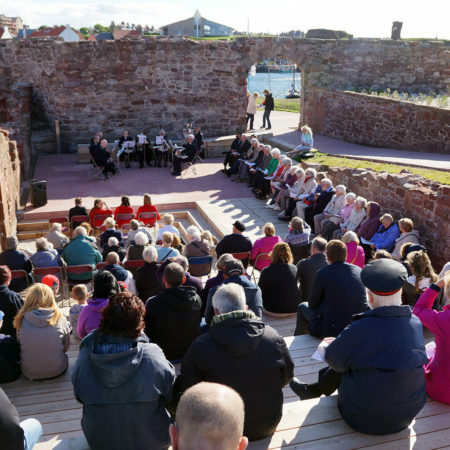 The brief focussed on 4 themes: improved access to and within the battery for all ages and abilities; the repair and conservation of the stonework and other historic elements; the creation of a destination within the harbour to promote tourism and economic regeneration and the creation of a multi-purpose performance and amphitheatre space for local gatherings and concerts. 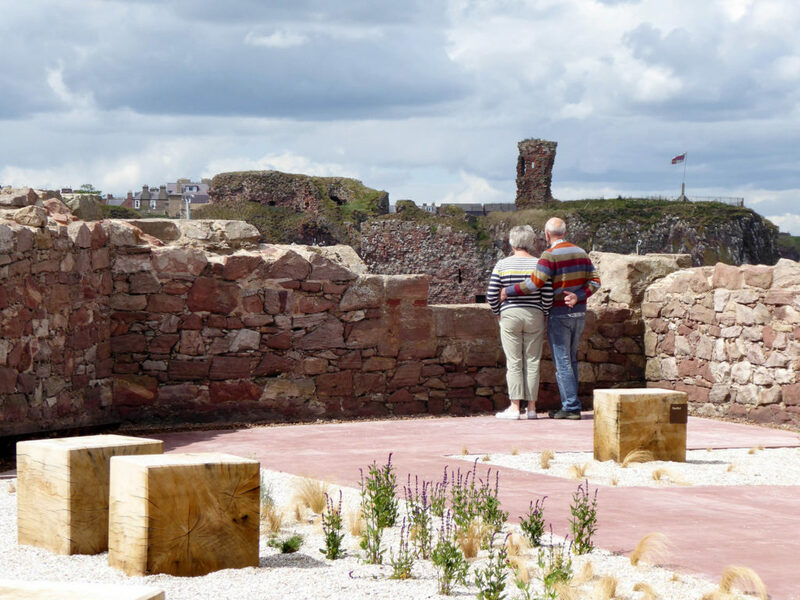 Following the successful award of funding from landfill tax monies the Trust then commissioned rankinfraser to develop the ideas in the study into a new public space design. 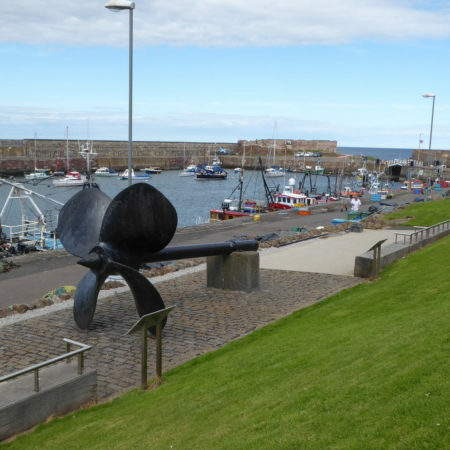 The design of the battery public realm was complemented by the enhancement of the setting of a memorial to Robert Wilson, inventor of the ship’s ‘screw propeller’ elsewhere in the harbour. 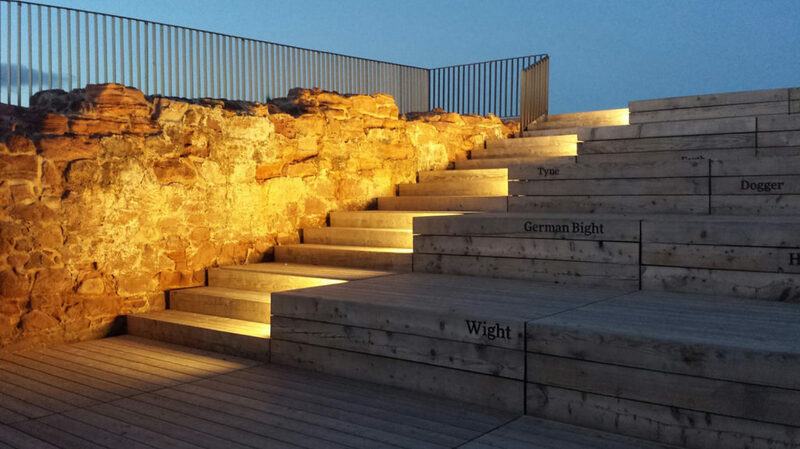 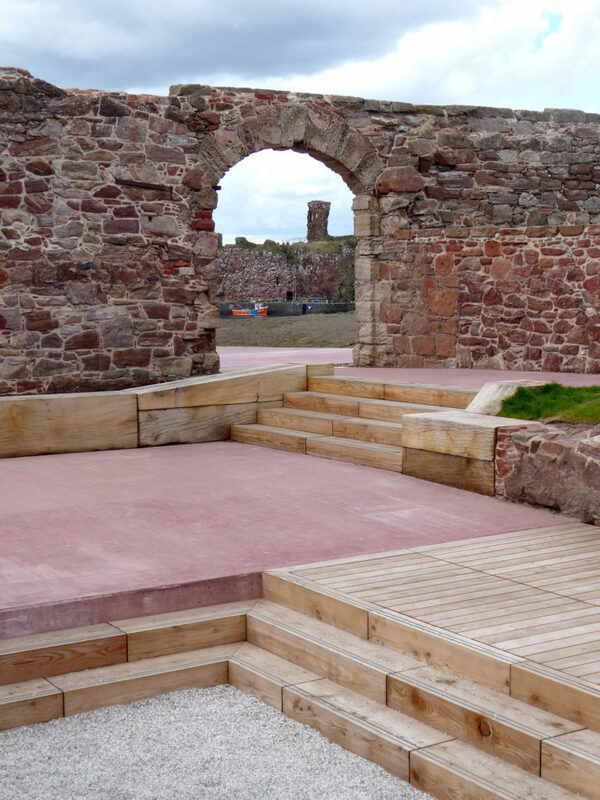 The public space design consists of a new gently sloping access path linking the structure to the harbour, new pathways within the battery, a new performance area with associated timber amphitheatre, specially commissioned contemporary art work, a coastal garden, the re-opening of vaulted stores, new furniture, lighting, interpretive elements and graphics. 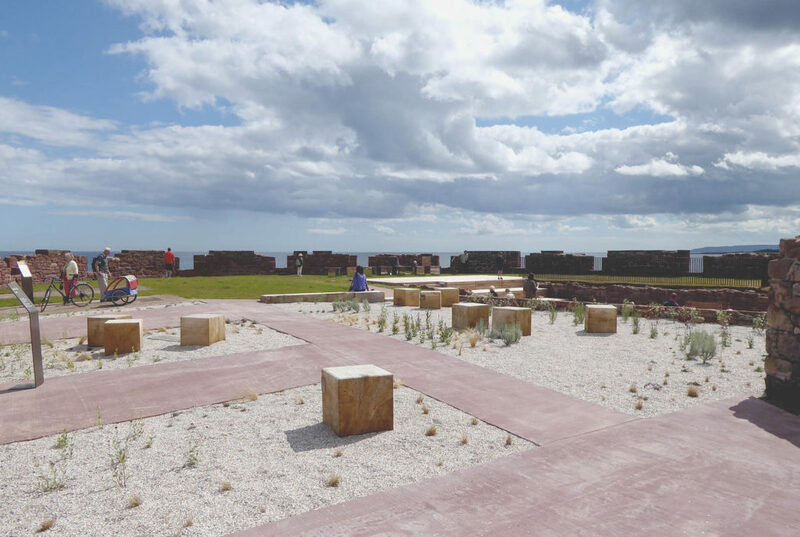 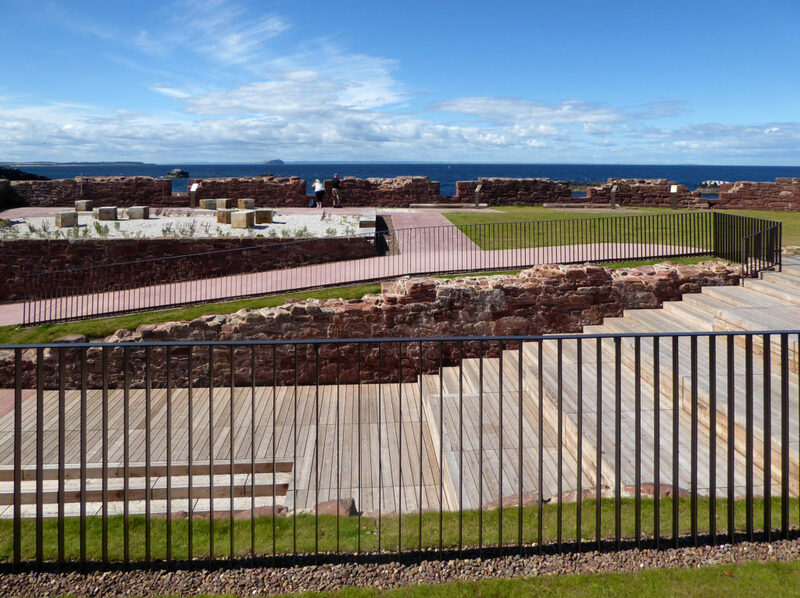 The battery design exploits the site’s palimpsest, using the layers of history to inform and guide the design and distribution of various contemporary interventions. 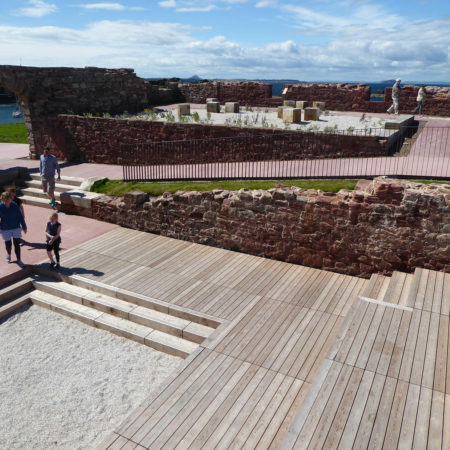 The inventions were not intended to compete with, or overpower, the historic structure. 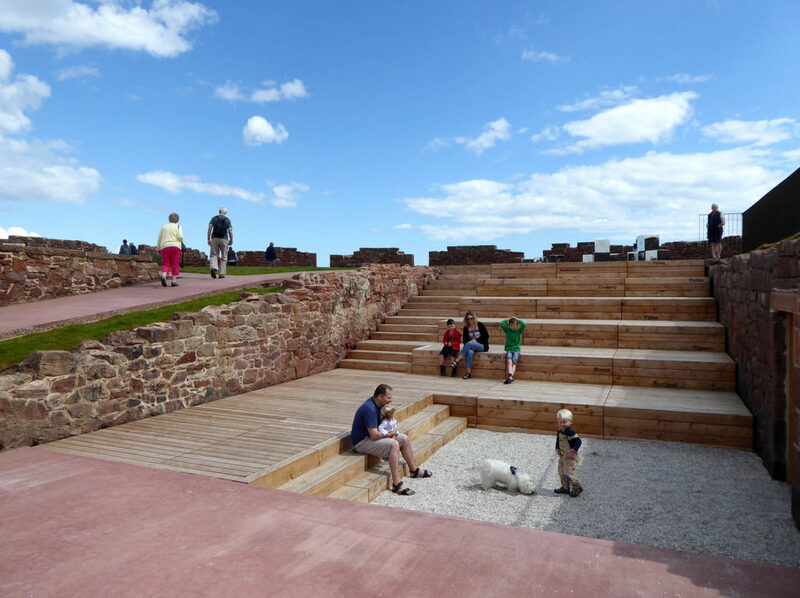 Rather, the design works seek to amplify the existing spatial character whilst transforming the space into a multi-functioning public arena. 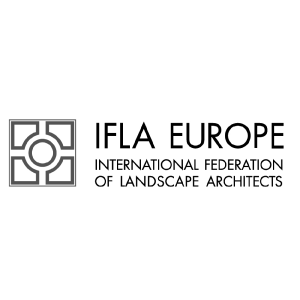 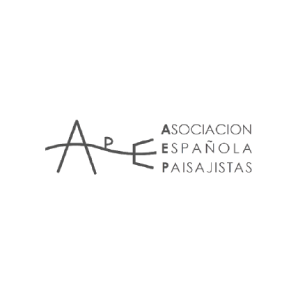 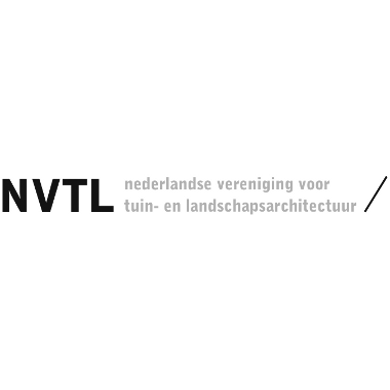 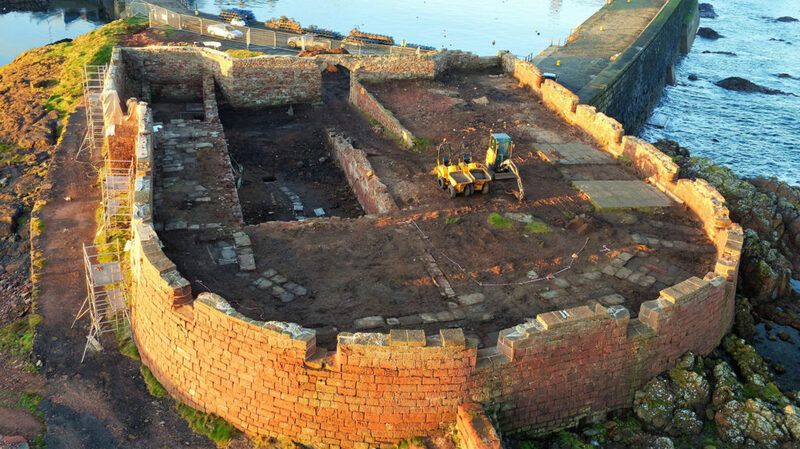 A process of archaeological investigation preceded and informed the design work at each stage. 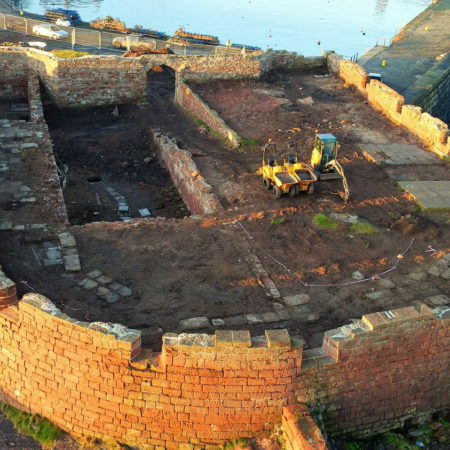 A responsive and sympathetic approach was taken to the discovery of further elements of historic interest as they were uncovered during the course of construction. 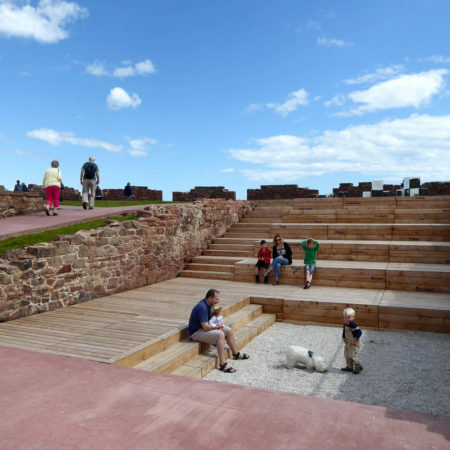 The most significant new structure, the amphitheatre, is integrated into the void formed by the walls of the former hospital building so as to leave the trace of the hospital untouched. 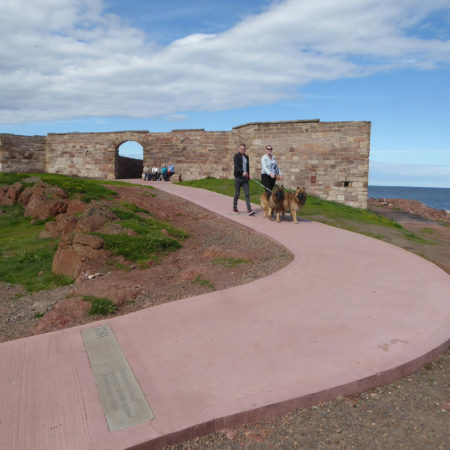 Community engagement was thorough and continuous over the course of the project with a dedicated website set up to gather views and inform local residents of progress. 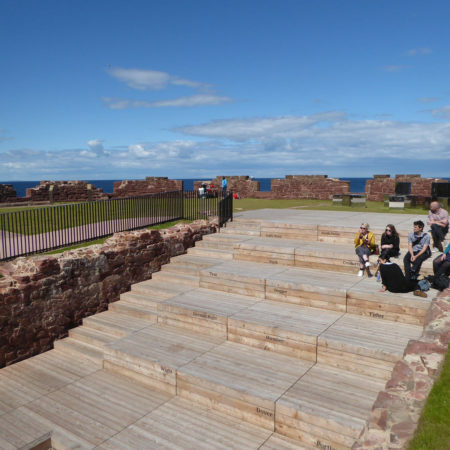 A key component of the project was the commissioning of a site specific contemporary artwork by the Scottish artist Donald Urquhart. 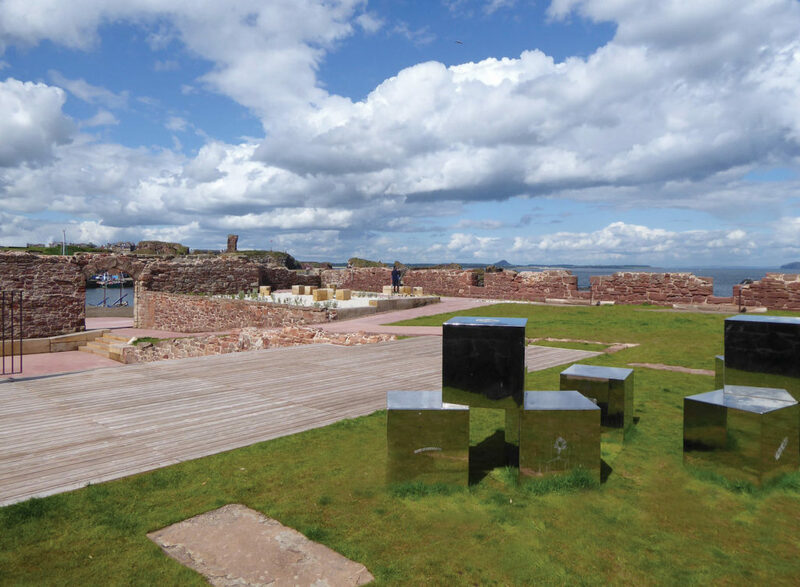 ‘Sea Cubes’, is a series of interactive stainless steel cubes engraved with drawings of ‘foraminifera’, microscopic sea organisms. 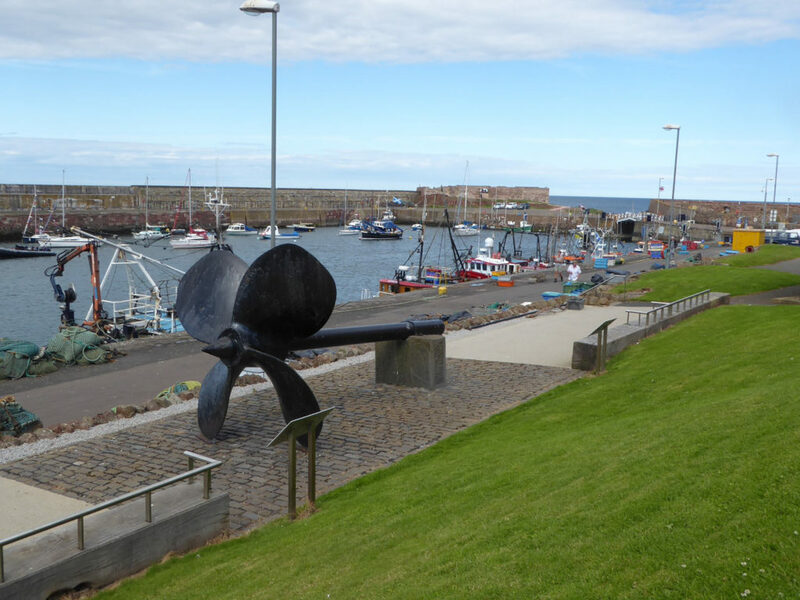 Parallel to the artwork project, a series of consultation events and a local schools engagement project were undertaken culminating in an public exhibition of screen prints of plankton by Primary 7 pupils alongside new artworks by Donald Urquhart. 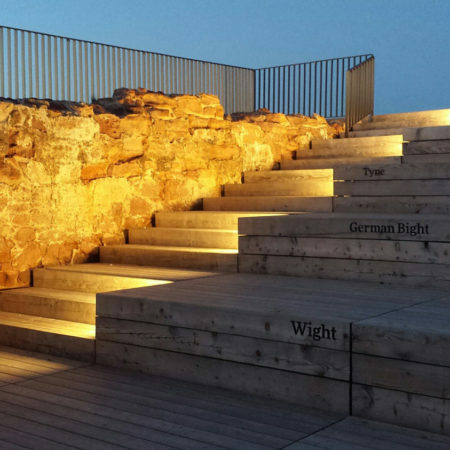 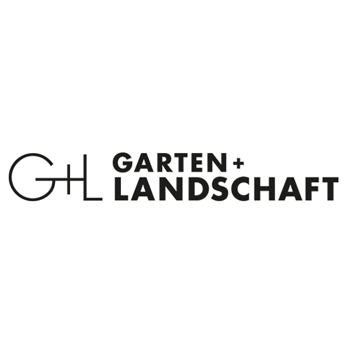 In addition to the artist; the design team included civil, structural and electrical engineers, lighting designers, a historical researcher and interpretive and graphic designers. 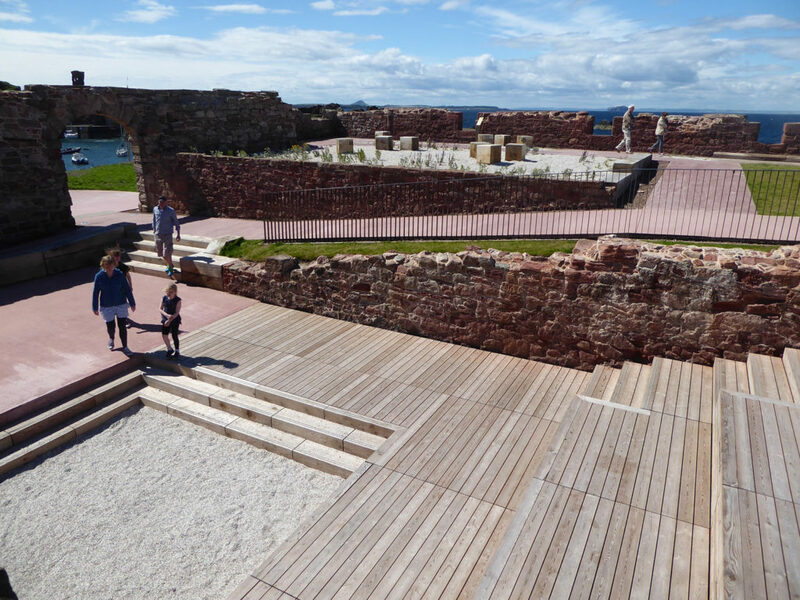 Interpretive elements were integrated as far as possible into the furniture and structure of the space so as not to detract from the spatial quality of the battery itself. 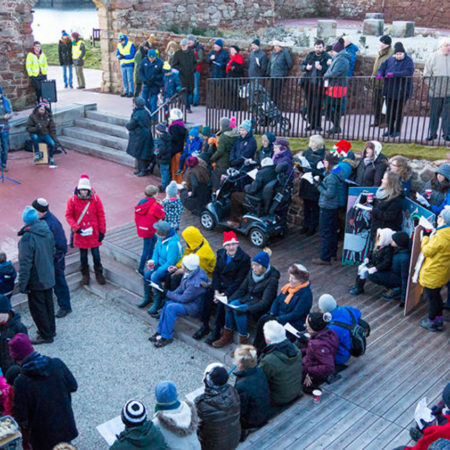 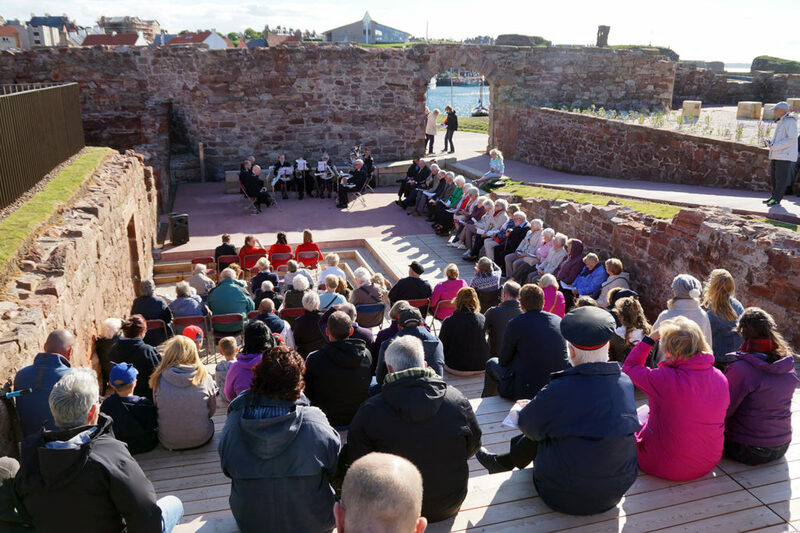 Since its completion in spring 2017 the battery has hosted various musical concerts, a Christmas carol service and it has become a sought after wedding venue in the town. 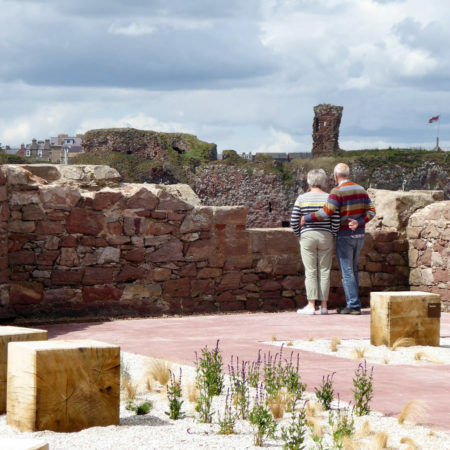 The space continues to be maintained by local people including those who care for the coastal garden. 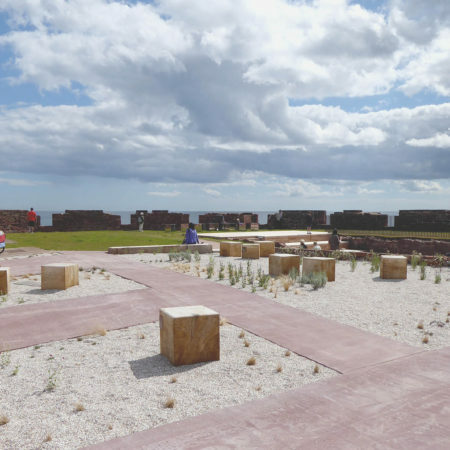 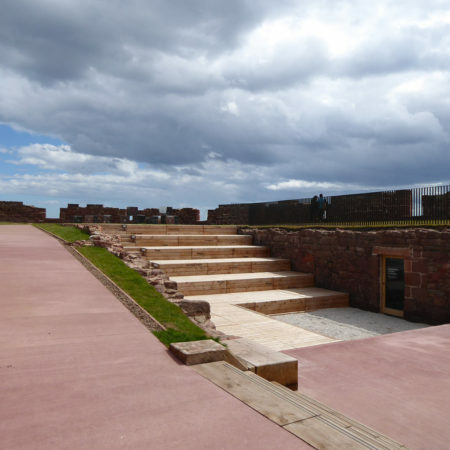 In addition to its increasing use by local people the new battery plays an important role in attracting visitors to the town from further afield. 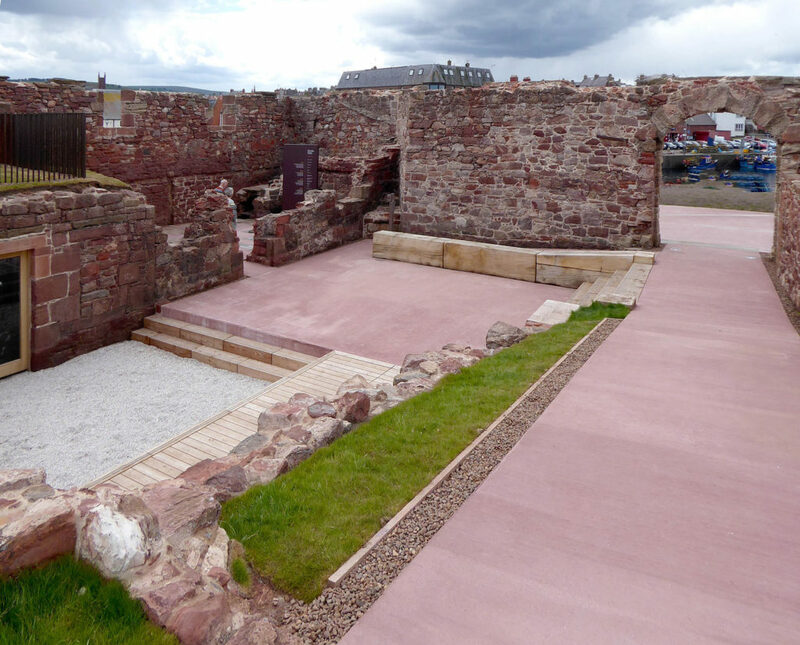 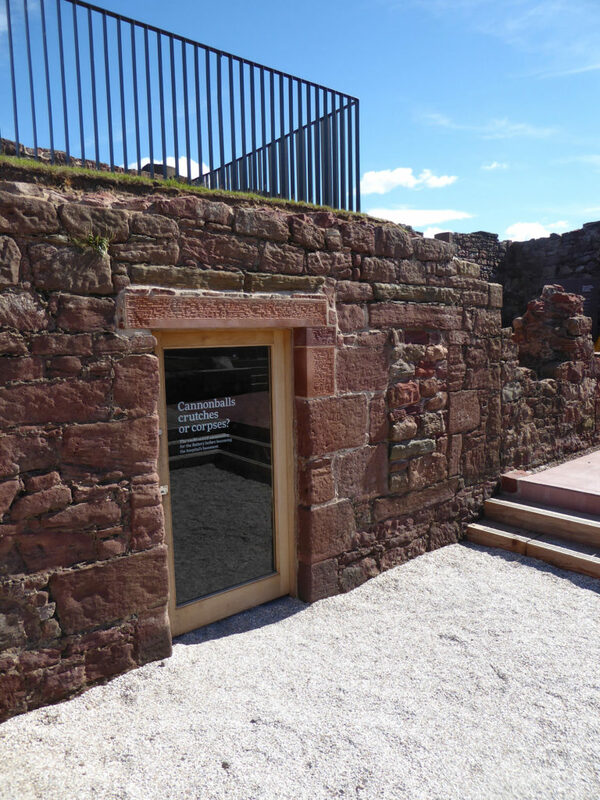 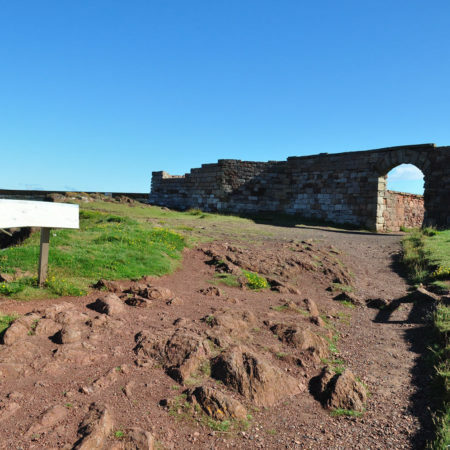 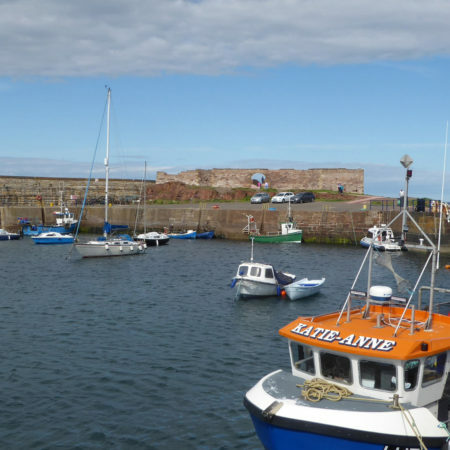 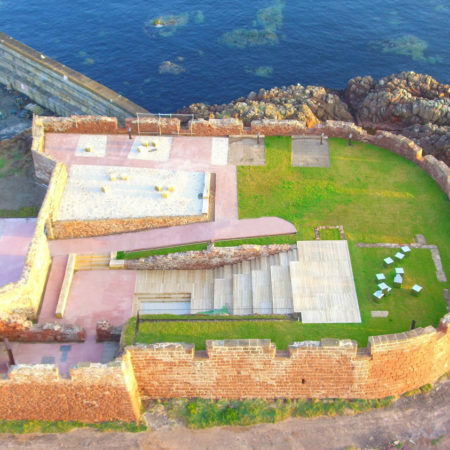 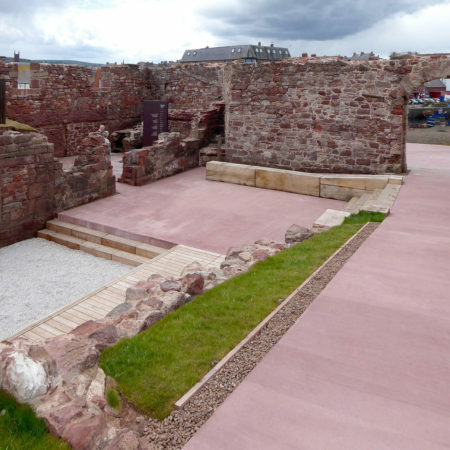 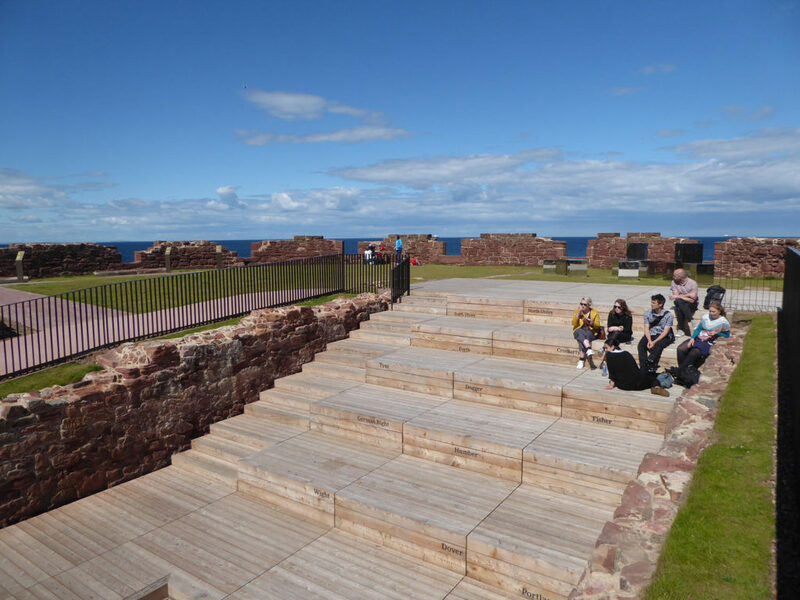 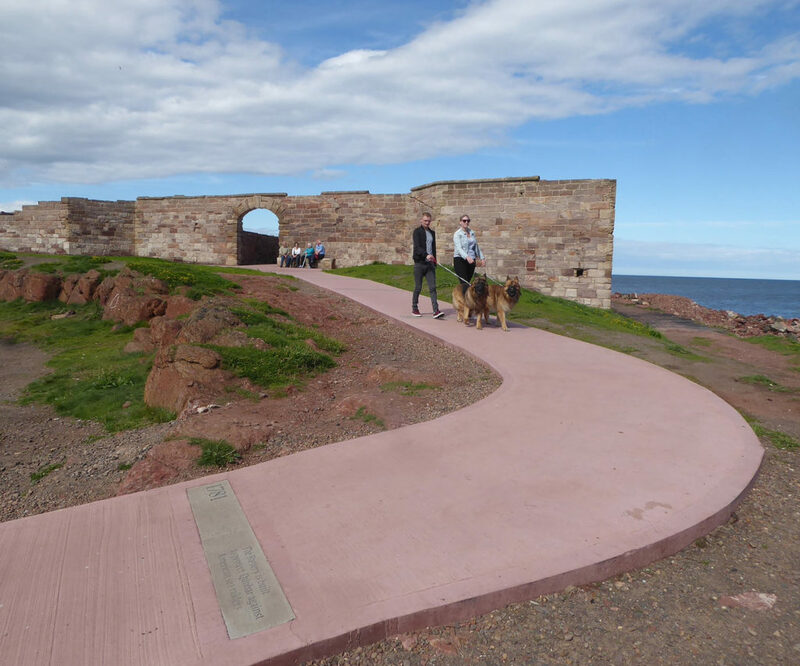 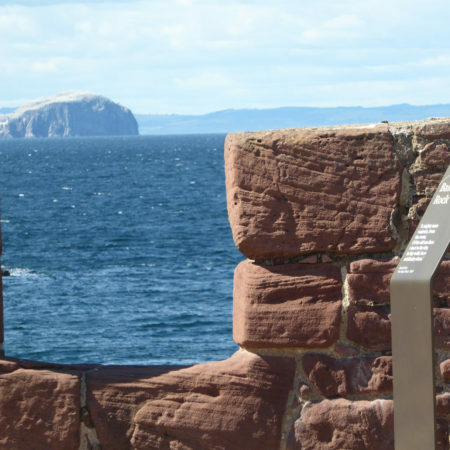 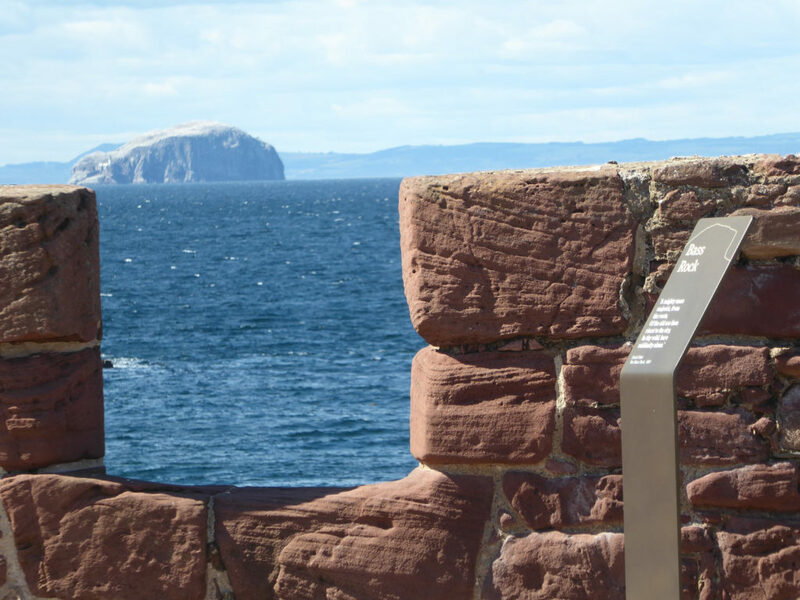 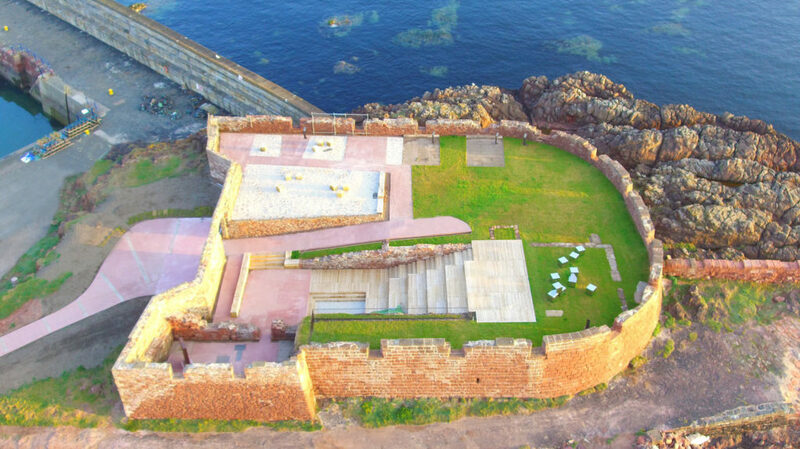 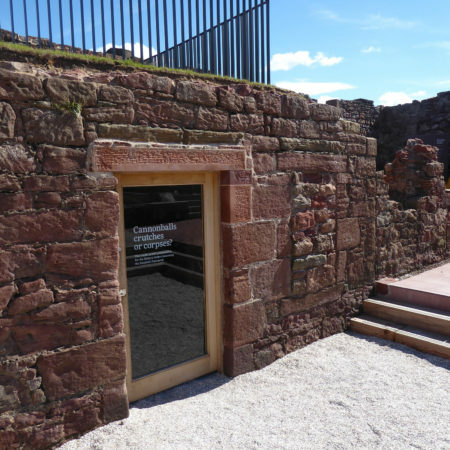 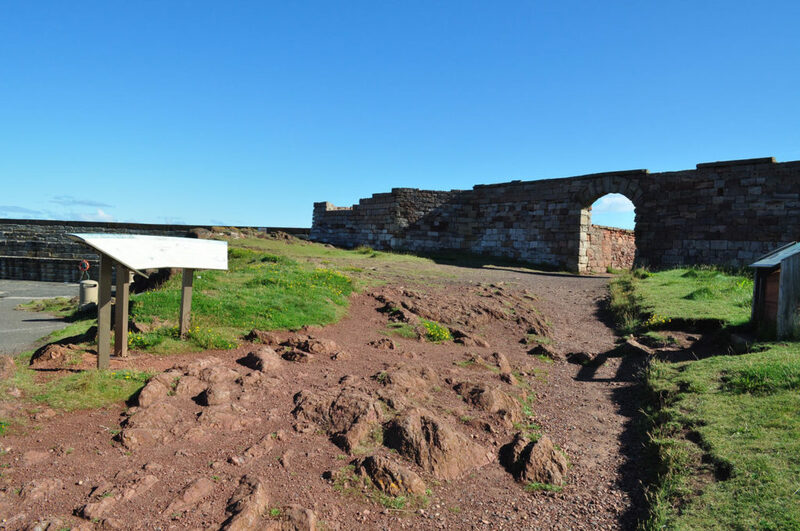 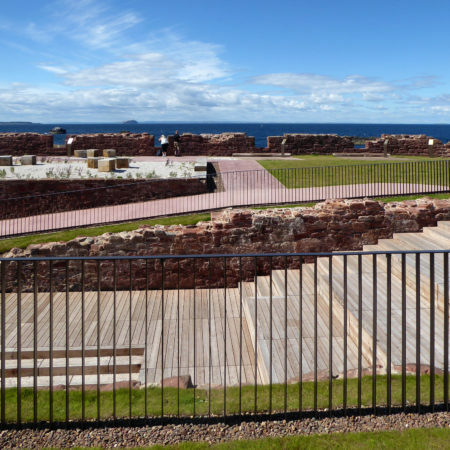 It complements other visitor attraction in Dunbar including the John Muir Birthplace museum, Dunbar Castle and the harbour. 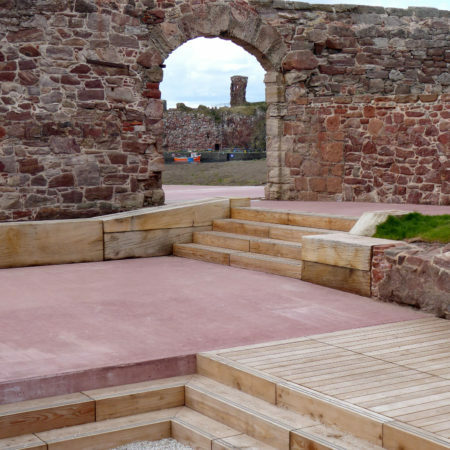 Prior to the completion of the project there was some evidence of anti-social behaviour occurring within the enclosed space of the battery. 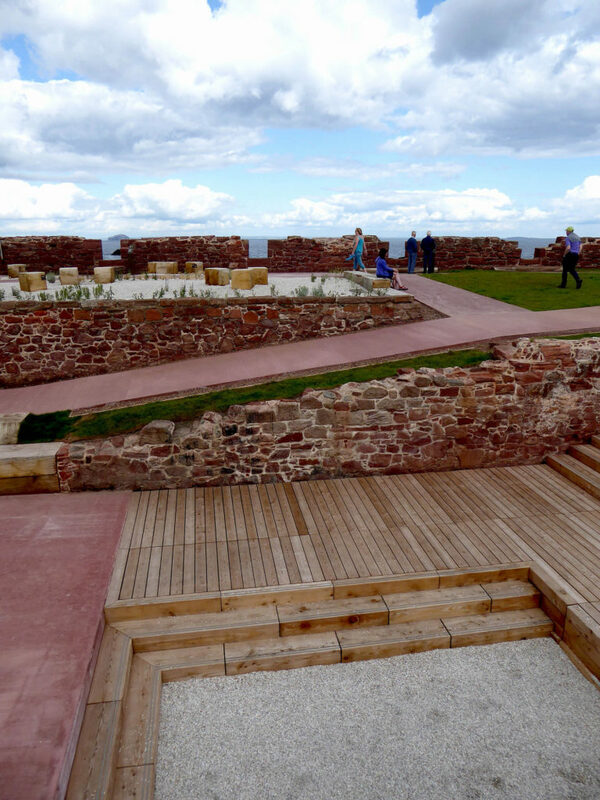 The increased footfall and transformation of the space and the perception of the space locally has reduced this significantly.